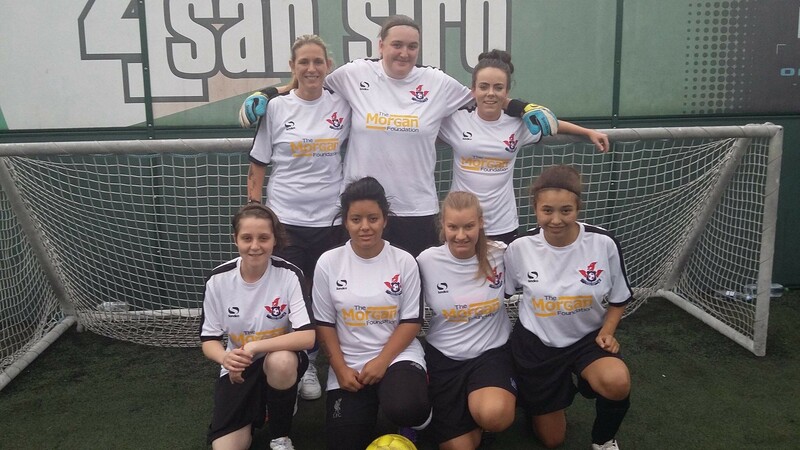 Our Women's Futsal League was played until recently at Croxteth Sports Centre, unfortunately, the centre has closed. This has led to the women's team being disbanded for the time being. We are looking for a new venue for the next season, if you can help or can direct us towards someone who may be able to help, please contact us as this was a really well received and enjoyed service that we provided. As with the men's teams, the women found great benefits in playing in this league. The camaraderie promoted at the very least mental and physical wellbeing. Not only that, they gain fitness and confidence through playing a game that is known all across the world. Hopefully, our match days will get started again at some point in 2018. Anyone is welcome to play in our Futsal team, we require players of all abilities and backgrounds. We would love many of you out there to get in touch and lets get the women of Merseyside moving! If you're interested in becoming part of our women's futsal team then it's best to register your interest via our contact form. Simply fill in your details and let us know you're interested. We will then give you a call once the league get's close to starting up again. You might be reading this, and be unsure of what futsal is. Let's explain some of the basic rules and regulations of the game. It's played on hard floor pitches and generally indoor. It's considered a different version of 5-a-side as there are 5 players per team. The ball used is a size 4 match ball, this is one size smaller than the Premier League size 5. Matches are 20 minutes per half and teams can make unlimited substitutions. I suppose one of the biggest differences between 5-a-side and futsal are the barriers. The edge of a 5-a-side pitch is generally walls, boards or something else hard. They can be utilised by players during the game. However, this isn't the case with futsal as the edges of the pitch are all lines. The ball can run out of play, this allows for a more creative game and is a perfect entry-level game for someone looking to eventually move into 11-a-side games.